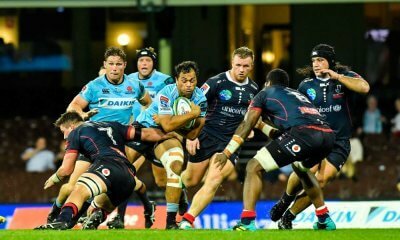 Ok, so OBVIOUSLY we are all going to get behind the Waratahs as the only Australian team left in Super Rugby and OF COURSE we’ll be supporting grass roots rugby by getting out and watching some club or school footy this weekend, but keep some of that rugby watching time set aside for what promises to be some of the most fascinating rugby of the weekend – the World Cup Sevens. 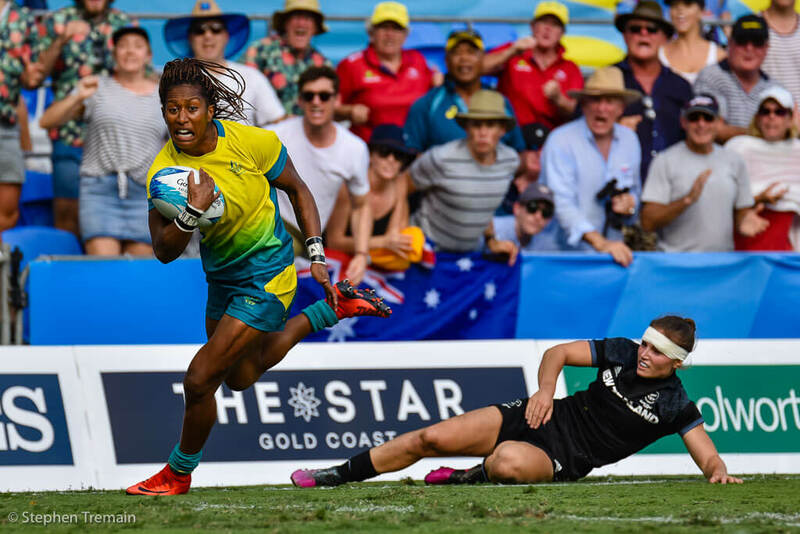 Sevens has never been more popular in Australia with the Rio Olympic win by our women’s team an obvious kick starter. 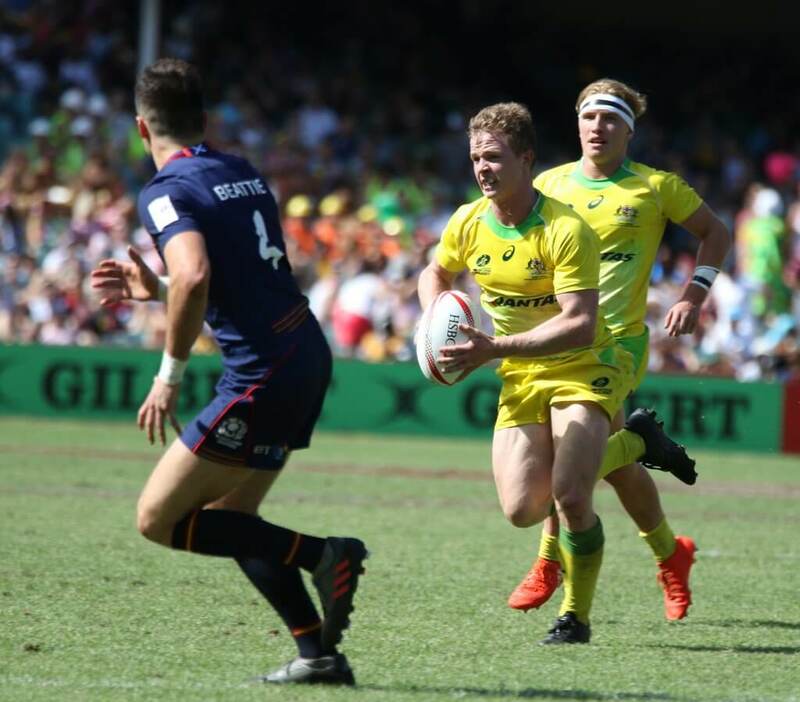 However its presence at the last few Commonwealth Games, the success of the Sydney 7s as well as the development of new tournaments across the country means that the playing numbers in Australia have never been bigger. And with the World Cup being the biggest event on the World 7s stage, this is a pretty significant weekend. 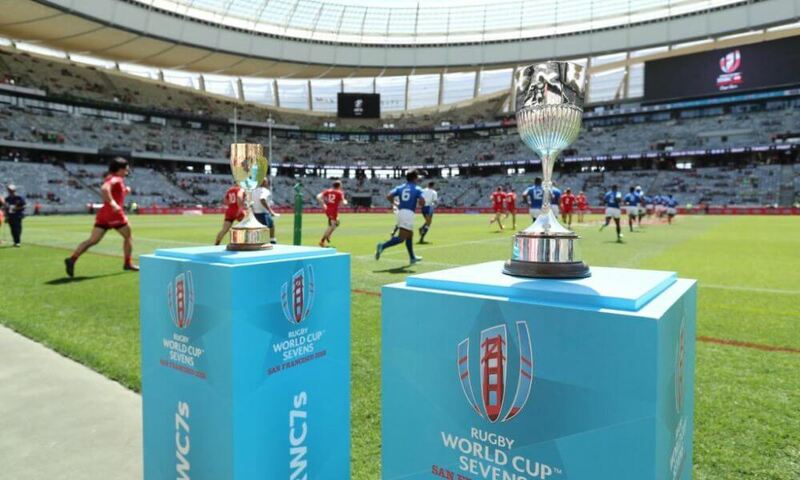 This will be the seventh iteration of the men’s World Cup as it started back in 1993, six years after the XVs version, with Scotland (the ‘home of sevens’) hosting. We did pretty damn well at that first event eventually going down in the final to England. The Aussies featured World Cup XVs champions Michael Lynagh, David Campese and Willie Ofahengaue in their squad while the Poms had some future World Champs in Matt Dawson and Lawrence Dallaglio. As you’d expect Fiji and New Zealand have monopolised the trophies since then, each winning two. 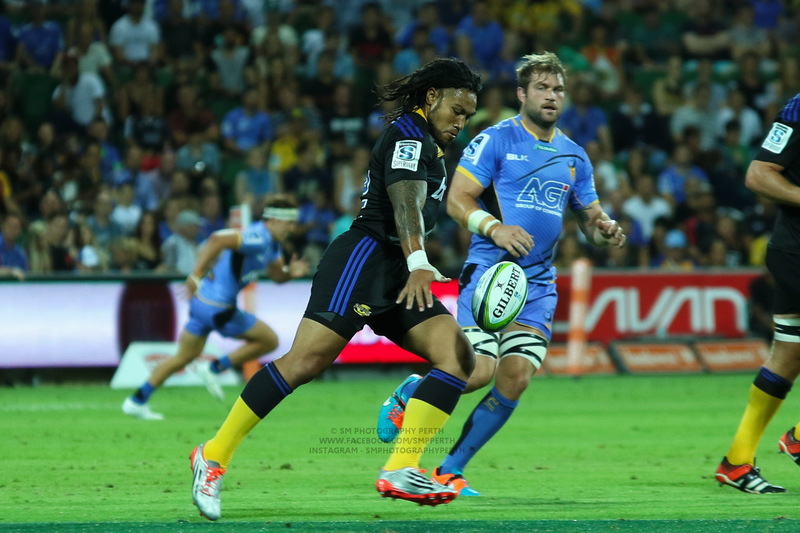 Fiji overcame South Africa in 1997 and the kiwis in 2005 (both in Hong Kong) while New Zealand were victorious over us in 2001 (Argentina) and the Poms in 2013 (Russia). So who won in Dubai in 2009? It may surprise you, as it did me, to remember that it was Wales who got up over Argentina for a somewhat unexpected win. The Women have only had the two World Cups with our gals winning the inaugural event back in 2009 over the kiwis, then the kiwis getting their revenge by defeating England in the final of 2013. That trailblazing 2009 team featured some legendary names in Women’s Rugby including Selena Tranter, Cheryl Soon, Nicole Beck and Rebecca Tavo as well as Ruan Sims who played in last year’s Rugby League World Cup. The 2013 squad had changed rather dramatically including a number of players who will back up for their second World Cup this weekend including Shannon Perry, Sharni Williams, Emilee Cherry and Charlotte Caslick, who would have just turned 18 a couple of months before this 2013 event. The tournament will once again feature the best teams in the world with the top 24 men’s teams and top 16 women’s teams to play at AT&T Park, right on the bay in San Francisco. It looks to be an amazing setting and an incredible opportunity for the sport in the USA, given the strength of their men’s team at the moment and the fact that NBC Sports will present live coverage of all matches of the men’s and women’s tournament. This World Cup will be like no other before it, however, with the traditional pool structure being dumped for a tennis-style sudden death format. Basically in both the men’s and women’s tournaments teams there is no room for error and teams will have to win every match in order to be named World Champs. With more teams in the men’s comp, there will be an initial knock-out preliminary round featuring the nations ranked ninth to 24th, while the top eight seeds progress automatically to the round of 16. The change in format obviously caused a little commotion when it was first announced some months ago, but there’s no denying it has added an intriguing edge to this the pinnacle event. And why shouldn’t the World Cup be a little harder to win with a strong argument being that the traditional model means it becomes just another tournament ala the World Series. The complete draw is below, including details of the Bowl and Challenge Championships which will continue. The Aussies may have won the World Series this year but they know they’ve got a massive task ahead of them this weekend. After a couple of standout tournaments early on, with wins in Dubai and Sydney, it all seemed to turn at the Commonwealth Games on the Gold Coast. The Kiwis would take Gold at the Games and then go on to win the next three tournaments. In the end the Aussies’ consistency, never finishing lower than third, was what secured them the overall title over New Zealand. Coach John Manenti has had some time to now settle into the squad and has also been able to pick his strongest squad of the season with just Dom DuToit on the injured list, while Emma Sykes was not quite back to full fitness to push for a call up. What it means is that Willaims, Parry, Caslick and Cherry are joined by Olympic Champions Alicia Quirk, Emma Tonegato, Vani Pelite and Ellia Green in a squad of significant experience and quality. 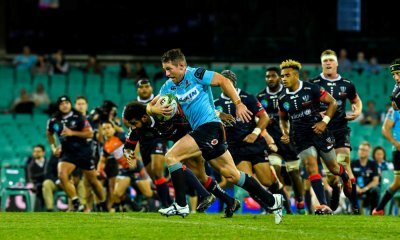 The return of Williams and Quirk will help counter the physical opposition the Aussies are expected to face while Green’s explosiveness and confidence is a significant boost to the squad. We’ll deal with the rest once we get past those games. The Green Machine is back, baby! Without managing to challenge for the World Series the Aussie men, like the women, will enter the World Cup with similar feelings of frustration as to how their season ended. 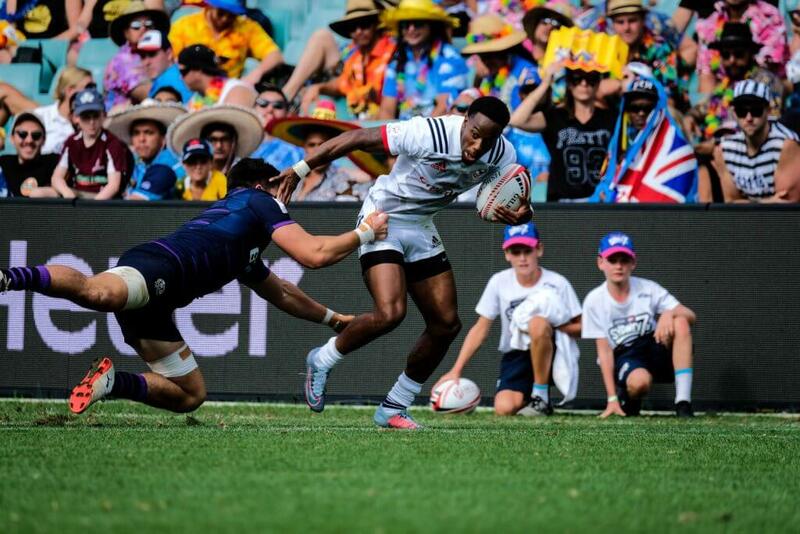 After the highs of winning the Sydney 7s the lads were just seconds away from winning their second tournament of the year in Singapore before Fiji did what Fiji do and went the length of the pitch to snag the trophy. It was a promising start to Tim Walsh’s coaching career with the men however any positivity would soon be negated by poor showings in the last two tournaments of the year, London and Paris. As with Manenti, Walsh is able to call in some experienced heads which should help in given the Aussies more composure in the big matches. For the first time in months both Jesse Parahi and Lewis Holland will be able to play alongside each other, a combination that is not to be underestimated. Henry Hutchison’s return to the abbreviated version of the game is a significant boost given the impact he had on the World Series a couple of years ago. Walsh will also be hoping to get just a little more out of boom rookies Ben O’Donnell and Maurice Longbottom who’s impact has dropped a level or two in the latter part of the season. Geez. Talk about a tough path to victory. Again, we’ll deal with the rest of the schedule once we get there. Hungry Hungry Henry! Back for more. The kiwis deserve to start favourites in the Women’s side of the draw considering their recent form. France finished third in the World Series so will be a contender. USA, who finished a couple of places below France, as home country and with China first up could push for a podium spot as well, similarly Canada if some home folk decide to take a drive down the freeway to support. It’s a shame the Aussies are playing PNG first up as they are always worth a cheer, especially with a few Aussie based players picked to play this weekend (Gemma Schnaubelt, Yolanda Gittins, Melanie Kawa, Anika Butler and Marlugu Dixon). For the men, South Africa seem ‘due’ for their first World Cup having been so brilliant for a few years now. Obviously Fiji should be there or thereabouts in those last matches and were only just beaten for the World Series this year. The kiwis, absolutely, but the USA must be the team to watch. They are legitimate challengers on the world stage and, having won in Las Vegas during the season, love a home tournament. If they can cope with the pressure that comes with being the home team then big things could happen for them at the Cup. 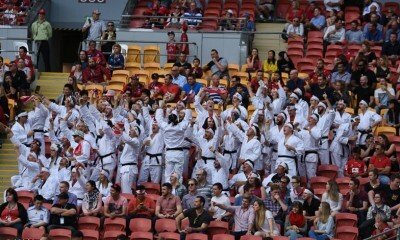 The home crowd could be a big factor for the US team! 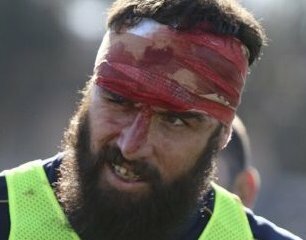 The home of Rugby in Australia is undoubtedly Fox Sports so they are obviously your first point of call for this one. The World Cup will be broadcast LIVE on FOX Sports with the action kicking off on FOX Sports Channel 501 from 3am AEST on Saturday July 21. World Rugby do social media very well I reckon, so you can look to the official App as a starting point. I would also encourage you to follow them on twitter at @WorldRugby7s because they do a sensational job of capturing results and highlights. Great stuff – very thorough wrap. Really can’t see anyone but Aus or NZ in the women’s though Australia have had decent trouble with the likes of Spain and Fiji so they are no certainties to get to the final. Canada seem off the pace a little, France and Russia too inconsistent and USA too reliant on Naya Tapper and Alev Kelter. England might be a shot. Men’s is very open though the Fiji side looks imposing and the less physically demanding format will suit their power-players. Kenya might be my smokeys for similar reasoning. But really 6 or 8 teams could win with this format. You’re right, teams seem to have been marking BOD and Longbottom a bit more closely but will be interesting the presence of Hutchinson changing that. He’s the genuine wing threat we’ve probably been lacking. Looking forward to it and if they get 25-35K at ATT each day should be a fantastic atmosphere.